Syracuse Law Review is proud to have hosted the 62nd Annual National Conference of Law Reviews (NCLR) this spring. 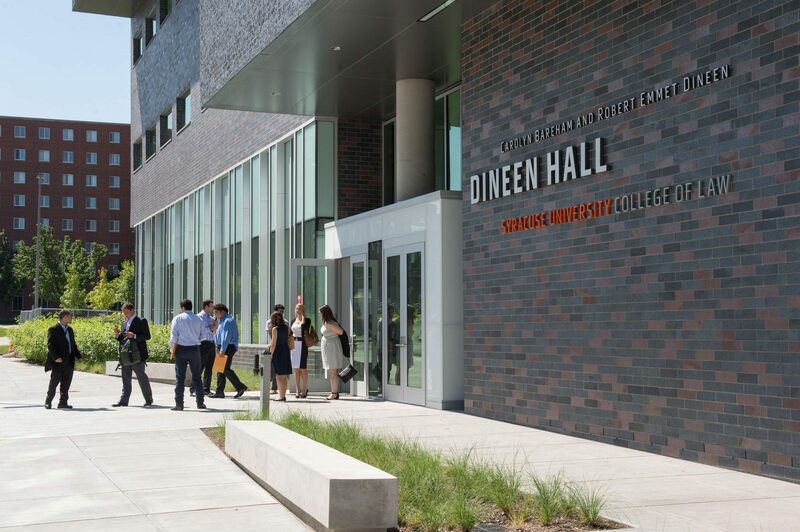 The Conference was held at the Syracuse University College of Law’s new building, Dineen Hall and the Sheraton Syracuse University Hotel & Conference Center. The purpose of this Conference historically has been to give “law review editors from member publications the opportunity to exchange ideas on issues common to student-edited law journals.” We would like to thank all the participants for making this year’s conference a success! For more information about becoming a member of NCLR or NCLR generally, please click here. Please click here for a summary of the event.